Long a favorite of reenactors as well as hunters looking for new challenges, black powder hunting has in recent years come into its own-with forty-six out of fifty states offering special muzzloader seasons, it's becoming more popular every year. 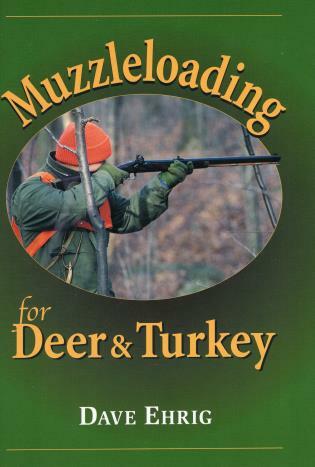 Hunters with an interest in black powder need look no further than Dave Ehrig's Muzzleloading for Deer and Turkey, an in-depth, one-stop resource for beginners. Covering a vast array of guns, powder, ammunition, and accessories, the author explains how to get started, hone your skills, and stay safe. There's also plenty of guidance on what techniques and weapons are best suited for going after deer and turkey. Whether you're looking to extend your hunting season or just want to make the hunt more interesting, everything you need to know is here. Dave Ehrig, a.k.a. "Mr. Black Powder," is a writer, photographer, and muzzleloading expert whose work has appeared in numerous articles and videos. He is the author of four books, including Black Powder Whitetails. A frequent lecturer on hunting and outdoor adventure, he lives in Pennsylvania.